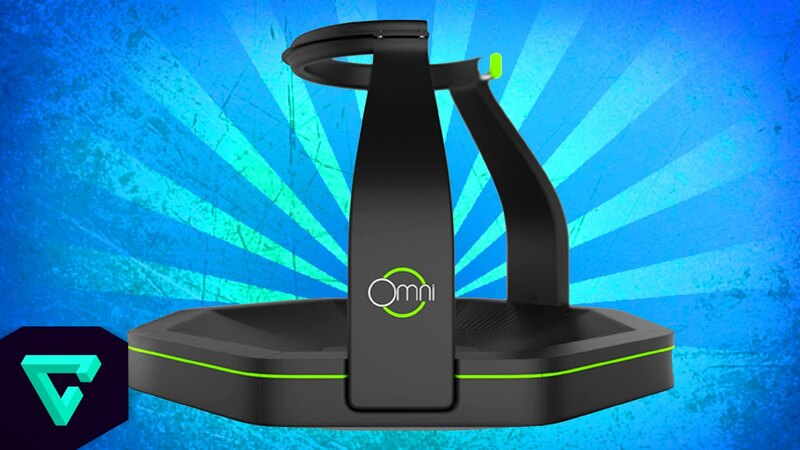 The Omni Virtuix is the future of Virtual Gaming and technology in general ! This technological advancement pushes the boundaries to humans levels we thought we could not reach quite yet. Due to release in 2016 the omni is a virtual reality system set to immerse the user into the realm of the virtual world. The omni is going to come in two parts. The oculus rift is the head set and the omni is the bottom part. The oculus is going to set you into the world. While the omni will guide your movements. This duo is going to pack a punch because you’ll have both visual feel and movement. This product is going to be easy to market to all ages and cultures because it is the next big thing. It creates that void people have been missing in games. Instead of sitting and playing with a controller. The user will now be in the game playing with characters they never thought they could be face to face with. It’s a great advancement for our time and I feel as though the omni will also be used for far more things than just games. I could see it being used for training simulations for soldiers and for medical use. The omni might not be the same thing they use but the concept will certainly be useful. The omni comes in a stylish black and green and has multiple accessories you can buy with it. It is set to range from about 600-700$ and is going to be mass produced on launch. That is not a bad price due to normal console games even phones being about the same amount. The name omni is huge in the gaming world and if you mention it to a true gamer they will have all the facts for you. To the non gamers I feel as though this advancement might come as a shock at first because who would’ve thought virtual reality would come so soon. But it will create such an excitement and stir that people will be throwing money at the producers. This product is perfect to market because it is fresh , new and the future. People of this day and age yearn for something different and the omni provides that urge. What is the purpose of the Omni “deck” (the step in front of the Omni)? The purpose of the Omni deck is twofold: safety and stability. The deck has a rubberized surface that provides grip for the user when entering and exiting the Omni while wearing the low-friction Omni shoes. Additionally, the deck covers a metal frame that is an extension of the Omni’s metal endo-skeleton, which provides stability and eliminates wobbling of the Omni during use. What are the dimensions of the final Omni design? When fully assembled, the Omni platform is 49″ wide (incl. strut bases), 54″ long (incl. the step-up deck), and 35″ high (when the ring is in its lowest position). The ring and vertical struts are easily disassembled from the base. Microsoft has announced its entrance into the AR/VR space with Project Hololens, a headmounted holographic display that is similar to Magic Leap. Hewlett-Packard is also entering the VR space and announced Zvr, a virtual reality display. Samsung’s Gear VR is now available at Best Buy. Razer’s OSVR headset was well received at CES 2015 and provides an open-source alternative to the Oculus Rift for only $199; Virtuix is part of the OSVR open-source initiative. NBA commissioner Adam Silver has revealed ‘mind-boggling’ plans to bring basketball fans closer to the action and increase their engagement in the sport through virtual reality. Cinematic VR was big at Sundance this past month, and even Oculus is releasing five animated movies this year. Entrepreneur lists Virtual Reality as the number one start-up trend that will be huge in 2015.